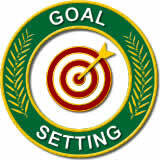 “Positive Thinking Goals Achieving” That Is The Type of Attitude You Want To Have! Positive Thinking is a Life Style And With It You Can Do Anything! Achieving All Your Goals Becomes Your Reality And Not Just Distant Dreams, Attitude Is Everything! Positive thinking will give you a wonderful outlook on your life and the world in general. This form of thinking typically comes much easier to who we call the optimist. This is merely a person who already holds an upbeat attitude about life in general. I personally went through a huge transition when I decided I was going to learn all I could about positive thinking. First I started out by really gaining a true understanding of the difference between how I was living and how I had to live in order to become a positive thinker. What I found out shocked me a little. I had realized that I was a very negative person. I came to the conclusion that I really focused more on the negative aspects of life and its outcomes then I did the positive. This realization made my transition easier then I had expected. You see if you want to learn about positive thinking and its tremendous benefits it really boils down to a matter of choice. Learning to be positive requires a deliberate shift in thinking. You can’t just will yourself into a different emotional state, the first step starts with changing your interpretation of events. Step back and see things from a bigger perspective. Instead of focusing on the negative, look for the positive in a stressful event. Being temporarily unemployed, for example, could prompt you to find a more satisfying job or line of work. The end of a love affair can signal a new beginning in another part of your life. Every time you handle a challenge successfully, no matter how small it is, you gain a sense of mastery and control that will help you be a better problem-solver or a more positive thinker. It is possible to spin any event into some type of positive, it may not completely overshadow the entire circumstance but it does feel good to see some light at the end of the tunnel. When you make a concerted attempt to practice positive thinking you will begin to notice wonderful changes in your life. You begin to believe in yourself and you take control of how you react to different events in your life. All of our feelings, beliefs and knowledge are based on our internal thoughts, both conscious and subconscious. We are in control, whether we know it or not. Aim high and do your best, when you have your mind focused on things you want you tend to be more positive. We can be positive or negative, enthusiastic or dull, active or passive. It really is all our choice, and if you choose positive thinking over self loathing and despair you will start setting some positive goals for your life. Another terrific way to develop positive thinking is to practice using affirmations throughout your day. Affirmations are short positive, present tense statements that you repeat to yourself in order to drive a thought or belief into your sub conscious or conscious mind. In developing an attitude of positive thinking use affirmations its such a powerful tool. You are repeating positive statements which just keeps your mind focused on good and positive situations. Positive thinking will turn your whole attitude around if you don’t fight it. Make the decision that you are going to be the master of your mind and that you dictate what you think. Defeat the strength of a negative thought as soon as one enters your mind. Your mind can only hold one thought at a time and if you realize you are focusing on something negative you can replace that thought right away with a positive one. The more you gain control over what you think and the longer you keep your mind focused on positive outcomes the stronger your will and desire becomes to change your attitude to positive thinking. Adhering to a life full of positive thinking will give you a more cheerful, outgoing personality and you will draw positive people and events into your life. The decisions you make about life will be more positive, upbeat and sometimes excitingly challenging. Your faith in yourself to accomplish things you would not even try before, grows with every positive moment you experience. You begin to set more positive goals for your life and you achieve more then you ever thought possible. Changing your attitude to that of a positive thinker is a challenge that I give to you right now! You should accept this challenge with passion and drive. When you find yourself looking for the positive in every situation in your life your happiness will soar. When you find yourself consumed with positive thinking you will find yourself continuously defeating negative life draining thoughts. Make thinking positive a habit for life! When you make this a habit it becomes easier and easier to stay in a positive frame of mind most of the time. Practice, Practice, Practice…..This type of thinking improves every aspect of your life. You smile more, you are more outgoing, you attract more friends, you feel good inside, when you are a positive person you have better outcomes of many circumstances in your life. You accomplish your goals and you excel at what ever you attempt. Positive Thinking Goals Achieving I Could Not Have Said It Better Myself! Make it a habit to tell yourself “it is going to be a terrific day” as soon as you wake up in the morning. Start your day on a positive note and be conscious of your thoughts all day long. 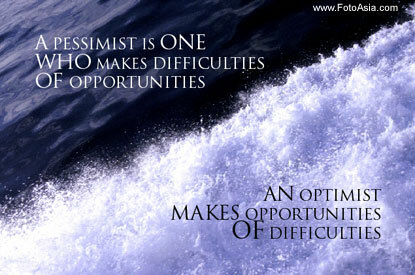 Optimism is the key! It is so important that you get used to the idea of asking yourself “What am I thinking right now?” and if the thought is not a positive one you must change it right away. Ask yourself why you are focusing on something negative….I guarantee you don’t have a logical answer. Sometimes our minds just choose to look at a situation in a negative way instead of a positive one. Every situation can have two outcomes…either a positive one or a negative one, it is our job to focus on the positive outcomes. 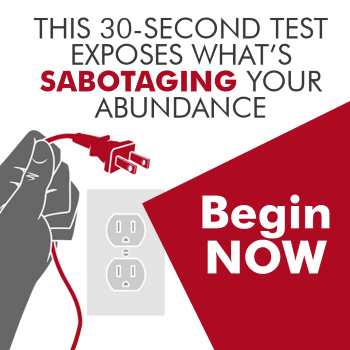 Invoke thinking positive into every situation that you are faced with. If for some reason you are viewing a situation negatively ask yourself “why?” and then turn your thoughts around. Even if you are convinced something is going to turn out negatively you can always accept the situation for what it is but you must then think of some of the positives that can arise from a bad situation. ALWAYS…ALWAYS….ALWAYS….try to end every situation in life with a positive thought. Even if the only positive you can come up with is the fact that something bad happened but now it is over with. You see how I ended that with a positive thought? All I did was be thankful for a bad situation or occurrence being over with. It is a surefire way of always having something positive to say after every event in your life. In developing a life based on positive thinking what you have to do is follow every single negative with a positive. What you did here was report something negative but then you made a concerted effort to follow it up with a positive thought. Thinking positive builds such confidence in your everyday life. You really begin to think that everything is going to turn out just the way you wish it to. I believe there is no stronger tool in improving your attitude towards life then your ability to think positive. This gives you great expectations of everything in life-And isn’t that really a terrific way to live? When you are always expecting the best out of life 9 times out of 10 that is what you will get. Always try to have a positive, upbeat, cheerful, expectant attitude and I promise you events in your life will be just that-wonderful, positive, cheerful, upbeat occurrences. Positive Thinking Goals Achieving You Should Make That The Mantra For Your New Life! First I apologize for taking so long to respond to the comments left be all my readers, I have been very sick for some time now and I have spent a lot of time in the hospital. In response to your comment I can promise you that you are not a burden! We all hit some rough patches in life and at times it can feel as though things will never improve but trust me this is just s fleeting moment in time when you compare it to all your prior years. You have to stop talking to yourself or about yourself with such negative connotations as that will only hurt you even more. As hard as it may be you should try to think of all you have to be grateful for, think of your family and your friends it should give you some comfort to know that you are loved. Another thing you should be working on is the conversations you have with yourself. We all get caught up in our own self-talk which is a good thing because we all have the ability to control the conversations we have with ourselves. You need to be kind to yourself. This is such a simple thing that most people never give any thought to, if you are stuck in a rut of negativity you will never get out unless and until you begin to be kind to yourself. We are all an odd bunch at times because we will say things to ourselves that we would never accept from others. Trust me this is just a fleeting moment of time and it will soon pass but you can hurry it along if you stop to think of the things you have to be grateful for. You should take a few minutes every night just before you go to bed and write down just 3 things that you are grateful for, do this every night without fail and keep them all in one notepad/journal, before you know it you will have pages of things that are thankful for that you can use to read through when you are having a particularly hard day. Be grateful for your health, be grateful for your ability to change your situation and circumstances be grateful for your life, be grateful! I am grateful for you visiting my site and sharing your feelings, I only hope that what I have said will help in some way. I am very very negative since three years. i am temporarily unemployed. all my high expectations are going down the drain. i try very very hard to see the positive aspects of life. i simply cannot find a way to the cheerful and lively person i used to be. i have started to feel like a burden for myself. life is a routine, i want to get rid of myself. That’s awesome Faye, plan your days in advance and declare to the world that all your days will be terrific and they will. Thanks even though reading it, its sounds like an obvious thing to do its amazing how many of us dont. Im going to take your advice on board because ‘tomorrow is going to be a terrific day’! Helping others is always a positive thing and if you focus on all the good you are doing it will make it much easier to overcome the negative thoughts. Everything said above is right i am a firm believer of it and have pushed many to think posotively .But some how i m stuck due to negativity and downfall and i want a way out .